How often do you take the time to shoot photos, only to have them sit on your memory card for months and months until you actually do something with them? If that happens more than you’d like to admit, chances are, you're not alone! Everyone has at least a few photos of precious events that haven’t yet made it to a photo frame or the wall. Part of the reason why this is such a common occurrence is a lack of ideas regarding how the images should be displayed. But that excuse can’t be used any longer, as we’ve put together a few quick and unique ideas for displaying your photos. Virtually everyone has magnets on their refrigerator, so why not use that space as a meaningful display for your family memories? Photo magnets are another unique way that you can show off some of your favorite images. Use it as a space to display candid or silly photos that might not be appropriate for a more formal setting or take pictures of your favorite meals and use the fridge as a canvas for displaying those images. Whatever you decide to put on display, the photo magnets won’t get in your way and provide all the functionalities of a traditional magnet. It’s a win-win situation! 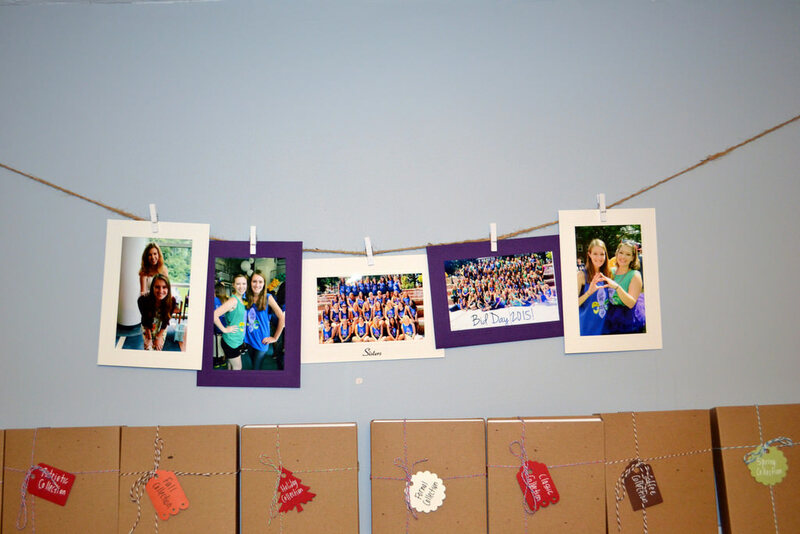 If you’re looking for a simple, rustic way to display your photos, use twine and clothespins. Plymouth Card Company offers wall decor packs complete with the accessories you need to create a fun photo display on your wall. Just stretch the included 6-foot length of jute twine between two points and hang your photos from the twine with the clothespins. Plymouth Cards also includes a custom-printed photo insert card with the phrase of your choice, and four additional blank photo insert cards so you can complete your display. Whether it’s photos of your siblings or kids, friends from college, or your neighbors across the street, the wall decor solution from Plymouth Cards will help you get your photos off your memory card and on full display on your wall where they belong. You can print photos on just about anything these days, including coasters. Like photo magnets, coasters aren’t just a fun way to display your photos, but they are also a functional tool. Keep those drink rings off your coffee table while also giving your guests something special to look at. You can even give your kids coasters with their own likeness on them, so there’s never any confusion as to which drink belongs to which person. Images can be printed on a variety of materials, including cardboard, wood, and rock, and will last your family for years to come. 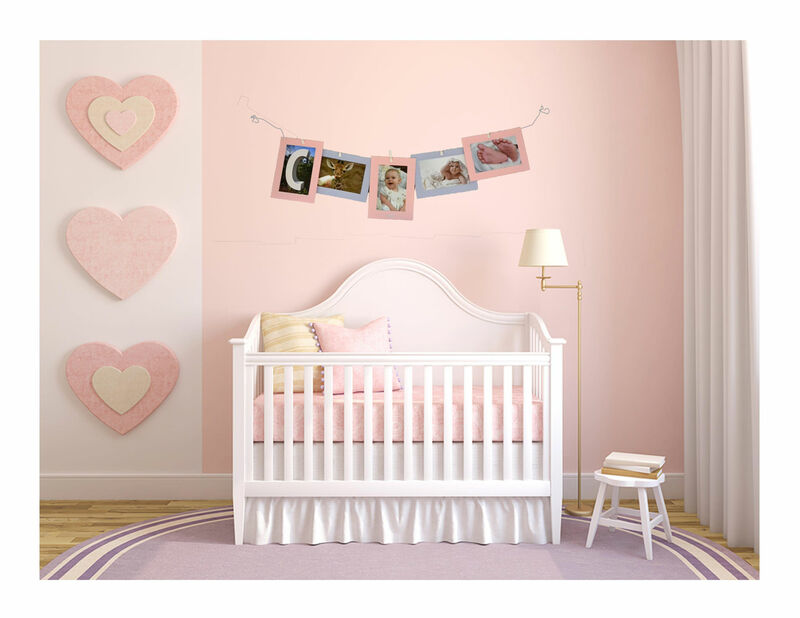 In a twist on the classic mobile that hangs above a baby’s crib, a photo mobile is a creative medium for displaying photos of any type. The images can be printed on various materials, from high-quality cardstock to metal, and hang in any room in the house. Display your family photos in the living room to create a conversation piece that guests are sure to notice, or hang a mobile in the dining room to remember memories of family gatherings and family meals in years past. 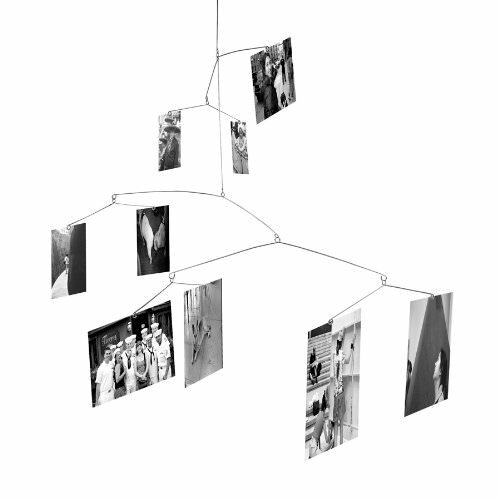 Photo mobiles also make great gifts for friends and family so they can display their photos as well. The best part is that mobiles need not be expensive. In fact, a photo mobile is often far less expensive than it would be to individually frame each image. Really, all the methods we’ve suggested here are inexpensive, so what are you waiting for? Get your photos off your memory cards, processed, and on display where they belong!